DAVID LE/Staff photo. 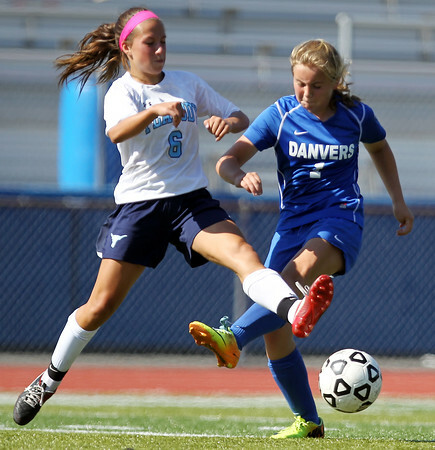 Peabody midfielder Emily Nelson (6) challenges a shot by Danvers sophomore Lydia Runnals (1) and manages to poke the ball away. 9/19/15.